Interested in politics since she was young, Katharine A. Kirk ’15 chose to spend her gap year interning for Senator John Kerry on Capitol Hill. Though she was 18 and in Washington during the 2010 midterm elections, Kirk only registered to vote this fall on Study Card Day. “I felt terrible,” Kirk says about not registering to vote last year. Despite saying that she was embarrassed last November, her experience on the Hill gave her a better understanding of working in politics. “What I gleaned from my experience in D.C. is that I don’t want to do that as a career, but I still want to be involved somehow,” Kirk says. Now enrolled at Harvard, Kirk looks forward to attending more events at the Institute of Politics, getting involved in President Obama’s re-election campaign, and voting. Though Kirk and other freshmen have been participating in politics for years—writing letters to local representatives and leading peers in school government—there are still many freshmen, and upperclassmen, who are not registered or who will not vote. 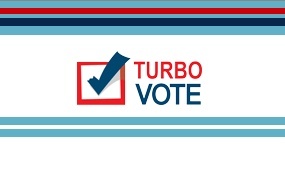 To combat this disconnect between activism and voting, the IOP has partnered with TurboVote, a new online voter registration service. Next week, the Nov. 8 general election will provide the first opportunity for many of these newly registered students to vote. Each fall, political groups on campus attract hundreds of freshmen interested in government and policy. Each semester, the Institute of Politics registers around 350 students as members. The largest percentage of these students is freshmen. This year, freshmen also make up half of the students participating in the IOP’s competitive liaison program, in which students assist the IOP resident fellows, according to IOP Student President Jeffrey F. Solnet ’12. Harvard freshmen join not only the IOP, but also the Undergraduate Council, the Harvard Republican Club, and the Harvard College Democrats. Ian D. Lundberg ’15 joined Harvard College Act on a Dream, an organization dedicated to immigration reform, and recently attended their Ivy League Immigrants’ Rights Coalition Summit. He has been interested in politics since joining the Sierra Club, the U.S.’s largest grassroots environmental organization, when he was 12. 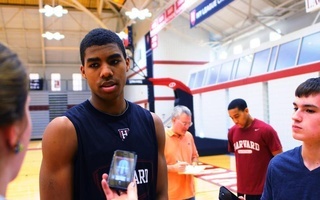 Kirk is one of many Harvard freshmen who have also participated in politics off campus. Megan E. Reynolds ’15 interned on the Hill for Nancy Pelosi’s office the summer before her junior year. Though she is taking this semester off from extracurricular activities to acclimate herself to college life, Reynolds says she plans to comp the IOP in the spring. 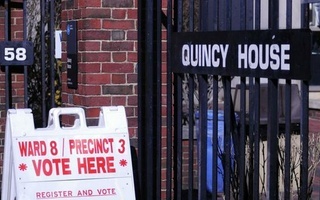 On election day some students traveled across Cambridge—to the Friends Center on Brattle Street, Gund Hall on Broadway, Graham and Parks School, or Quincy House—only to find that they were not registered to vote.